This was a pit stop on our Napa travels. A childhood favorite of my two hosts. 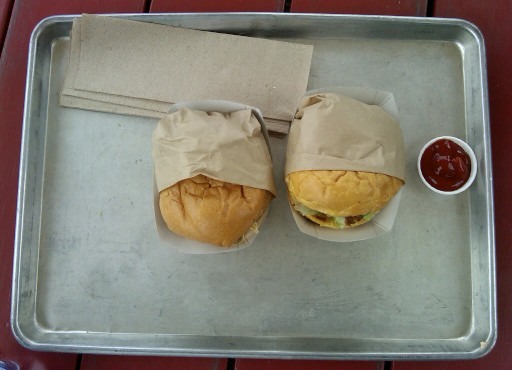 We sat at a picnic table, in the grass, and ate burgers + ahi tuna burgers. The sun was shining, and the joint was bustling. I loved how yellow + orange the buns were. I loved their brown waxy paper + their simple metal trays. 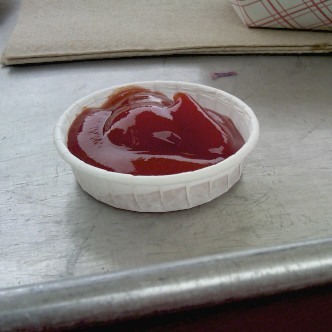 And I really loved how aesthetically pleasing their wider squatter condiment holders are. Better looking and easier for dipping.